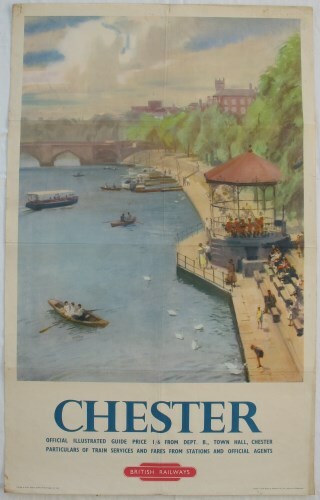 Lot 45 D/R Poster 1955 BR (LMR) "Chester". The banks of the River Dee in Chester. Generally very good condition with some edge wear and tape-repaired tears.